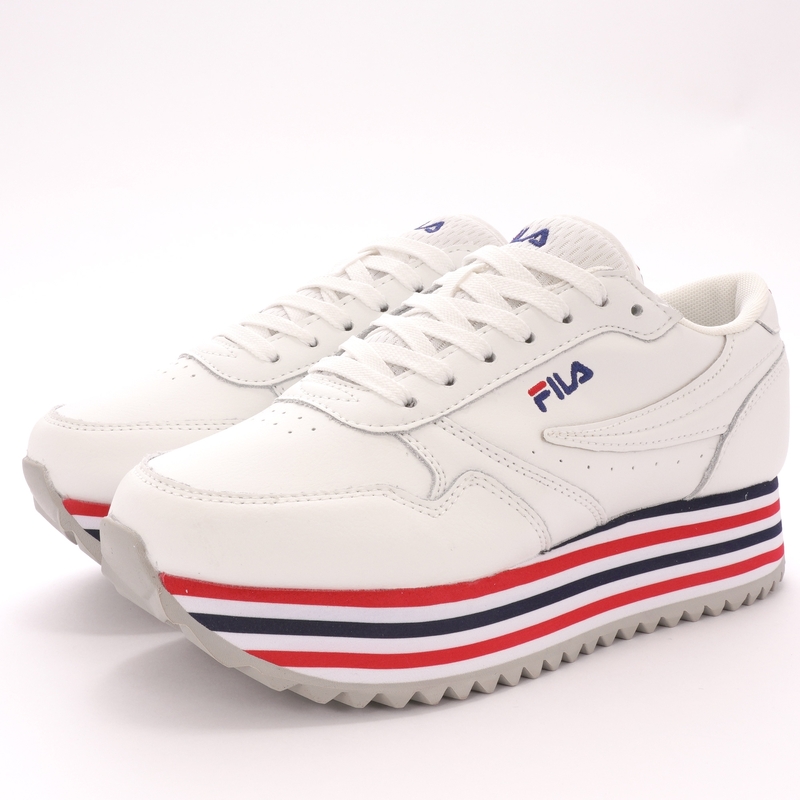 A 90s inspired silhouette to arrive as part of this season's Fila Women's collection this White and Stripe iteration of the Orbit Zeppa draws the attention with a contrasting striped midsole for a statement effect. Boasting an all white leather upper with perforations to both sidewalls and the toe box for added breathability the addition of Embroidered Fila logo branding adds a subtle pop of colour adding to the statement effect. Textile lined - for enhanced comfort - and sitting upon a rubber outsole with a "Sawtooth" tread these sneakers will make for a great everyday option to have in rotation over the course of the coming months.